Our trainers have taught at the leading colleges in Europe including the Royal College of Art in London, The Royal Danish Academy, and The Danish Design School in Copenhagen. Our clients include all the major publishing houses and record labels in Britain, the BBC, Channel 4, Cartoon Network and Adobe. 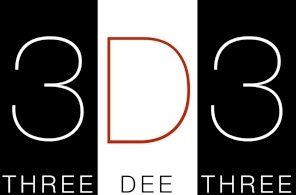 The 3D3 World training centre was established in 1996. We have been awarded a number of media prizes including a special commendation at the Tokyo Video Festival, the Art Directors Club in New York. Our work has recently featured by the New York based 3 by 3 magazine and in a special edition of DPI magazine entitled The Age of European Drawing. Our production Tall Story was a finalist in the British Animation Awards. Our production APES, a 360º panoramic movie and interactive VR project, directed by George Snow, was shown at the Cannes Film Festival in 2016 and at Animaze in Montreal the same year.